William Bourne's A Regiment for the Sea published in 1601, includes this drawing of an astrolabe. 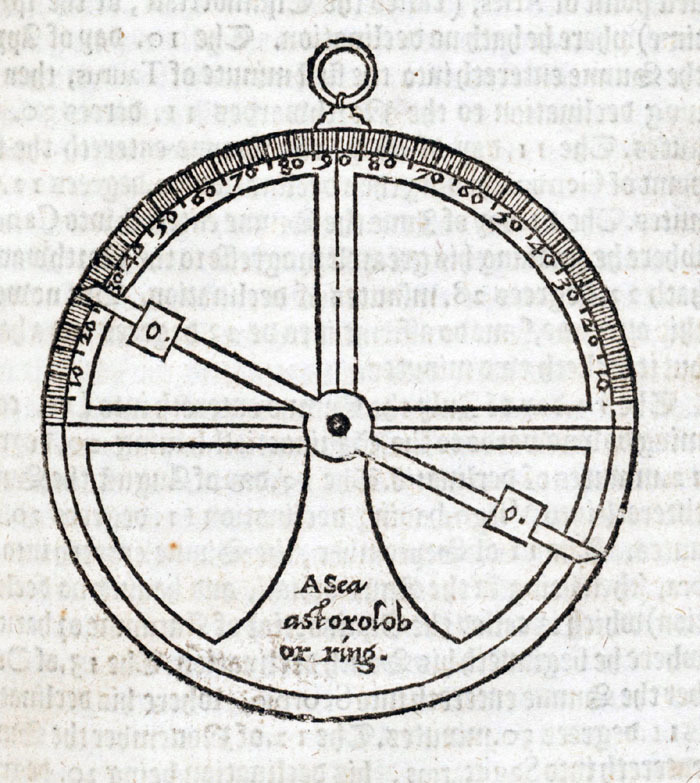 In use, the astrolabe is hung by the top ring by one person, another sights the sun, and a third reads the scale. The image comes from Yale University's Beinecke Library.